When is it okay to leave a child without supervision? Is there a bright-line rule that parents can follow to avoid run-ins with the police and the Department of Social Services? How are child abuse cases prosecuted in North Carolina? There are several different North Carolina statutes that govern this topic. The first is N.C.G.S. § 14-316-.1, which makes it a Class 1 misdemeanor for anyone who “knowingly or willfully causes, encourages, or aids any juvenile… to be in a place or condition… whereby the juvenile could be adjudicated… abused or neglected.” The statute applies to anyone who is at least 16 years old. This is important to note because that makes this charge far-reaching in that it does not apply to parents only. For example, this could apply to an older sibling. The second statute relevant to this discussion is N.C.G.S. § 14-318.2. This section makes it a Class A1 misdemeanor for “any parent of a child less than 16 years of age, or any other person providing care to or supervision to such child, who inflicts physical injury, or who allows physical injury to be inflicted, or who creates or allows to be created a substantial risk of physical injury, upon or to such child by other than accidental means.” There are two important differences to note between this statute and the aforementioned one. First, this section applies only to a parent or a person in a caretaker role e.g. babysitter. Second, the punishment under this section is a Class A1 misdemeanor, which is the highest class misdemeanor and carries a possible maximum sentence of 150 days. N.C.G.S. § 7B-101 defines abuse and neglect. 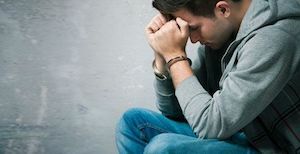 Under this section, the abuse can be physical injury, risk of physical injury, sexual assault, emotional abuse, or encouraging “acts involving moral turpitude. See N.C.G.S. § 7B- 101(1). A “neglected juvenile” is one who “does not receive proper care, supervision, or discipline from the juvenile’s parent, guardian, custodian, or caretaker.” See N.C.G.S. § 7B- 101(15). If you’re in need of a Charlotte Criminal Defense Lawyer, Bill Powers is available for consultation. The laws themselves do not provide much guidance and leave much to interpretation by the courts. For example, what qualifies as a “substantial risk” of harm? Clearly leaving a child in an unattended vehicle can be seen as a risky parenting decision. Considering the age of the child, would leaving a 15-year-old at home during the day while a parent runs errands qualify as abuse? Or letting a 10-year-old walk to a friend’s house a couple blocks away subject the parent to a charge for neglect? There is no clear answer to these scenarios. The statutes do not set establish a presumptive age at which a child can be left unattended or be given these freedoms. Rather, such cases are determined by a bearing in mind the totality of the circumstances. The Court would likely consider the age of the child, the length of the parent or custodian’s absence, the time of day during which the child was left, any pattern of abuse or neglect with the parent, the relative.